GARDEN CITY, N.Y. — Former NFL running back, Ricky Watters, is scheduled to appear on Saturday June 18, 2016 to meet and greet fans where he will sign autographs and memorabilia at The “Perfect Show” autograph signing event. Ricky Watters will be there from 10:00 a.m. – 5:00 p.m. The event will take place at Adelphi University, 1 South Ave., Garden City, NY 11530. For more information, click here. Ricky Watters played in the NFL for 10 years for the San Francisco 49ers, Philadelphia Eagles and Seattle Seahawks. He was on the 1995 winning Super Bowl XXIX 49ers team for the 1994 season. During his career, he posted seven seasons of over 1,000 yards rushing, six seasons of over 400 yards receiving and five seasons with at least 10 touchdowns. A Super Bowl champion and five-time Pro Bowler, Watters completed his career with 10,643 yards rushing, 78 rushing touchdowns, 4,248 yards receiving, and 13 receiving. PFP Sports & Celebrity Talent Agency is a top booking agent for motivational sports speakers and celebrities. 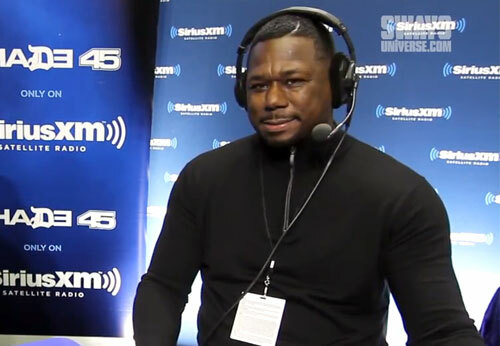 If you would like to book NFL stars like Ricky Watters for a speaking engagement, personal appearance or special event, you can request Ricky Watters agent and speaker information from PFP Sports & Celebrity Talent or call 800.966.1380.